So I thought to share this with you guys. If you really want something, if you are really passionate about something, if you are obsessed with something. You can achieve it. No matter how unbelievable, scary or unrealistic that is. You would not want it so bad if you weren’t capable. The life will throw in all sorts of distractions and detours, that is for sure. But if you want something bad enough, you are meant to get it/achieve it/ succeed in it/ find it. That’s what I believe. You are allowed to do things you don’t know how to do. That is the only way to learn anything new. And life should be about learning. Not repeating the same-old same-old and staying in the easy-zone. Staying in the easy comfort zone is allowed, of course. But it’s not so rewarding. So now that those things are out of the way. What is my fly fishing online business about? How does it work? My step one is to have my goal clear. And that goal is to be an entrepreneur who works with fun and awesome outdoorsy people and help them fall in love with fly fishing. Because I believe fly fishing is a great way to bring more awesomeness into your life. And just to get out. And who wouldn’t need more awesome in their life? My second step is to invite all those fun outdoor-minded people to my Inner Circle (for free). – go fishing together (in real life). First trip planned with 2 contest winners from Instagram..
And then my third step is to let you know when I have something cool you might want to buy. For example my fly fishing book, if you like reading. Or a beginner fly fishing course if you or someone you know would want to get started with this fine hobby. And other things like that. That is it, in a nut shell. “That’s awesome”, you might say. Great, then just sit back and enjoy and maybe go and get my e-book on Amazon. =D Or just enjoy the free stuff. And tell your friends, if you think they would like this as well. “That’s stupid, there is no way anyone can make a living like that”, you might say. Ok, I hear you. If you’re right, sad for me. If you are wrong, great for me. But either way I feel like I’m living a dream. So don’t mind me, and continue on your own path. And definitely don’t join my Inner Circle where I share the best stuff. Because I don’t think there is anything I can offer for you. This is how I want to run my business and live my life. 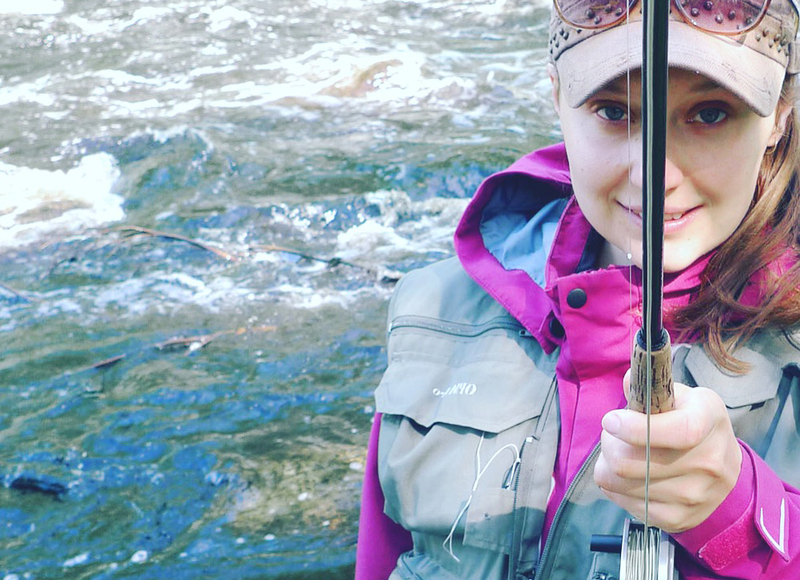 Travelling, fishing, blogging and teaching other outdoorsy awesome people to fall in love with fly fishing. If you think you are in the right place, stay tuned. I have exciting plans in my sleeve. Today (Monday) is your absolute last chance to join us – the doors will close tonight! 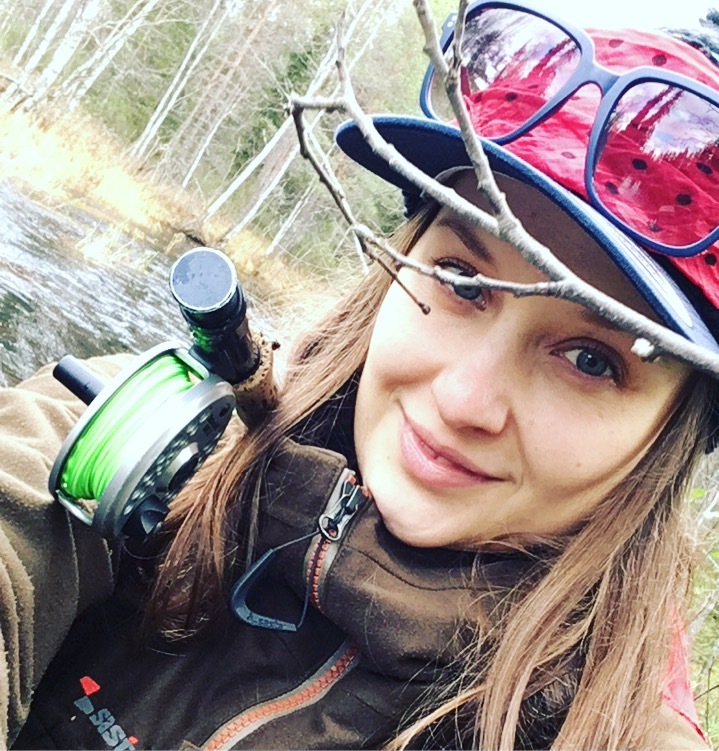 When you join Fly School with Anni, in just 6 weeks of working with me and the LIVE Study Group of other outdoorsy like-minded people you WILL be feeling ready and confident to hit the waters and start living those awesome experiences and catching those awesome fish you previously saw just on Outdoors Channel or on your fly fisher friends’ Facebook feed. You know, those annoyingly GORGEOUS fish! It’s about time You get to feel the pure thrill of landing one of those beasts!